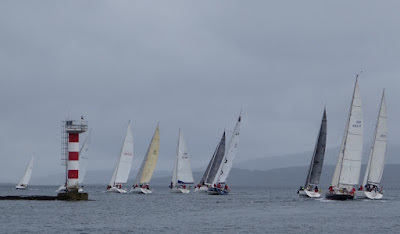 Entries are now invited for this years Oban Sailing Club Round Mull Race. This long established event is one of the highlights of the sailing calendar on the west coast with the perfect mix of great sailing, stunning scenery and a fantastic social program. The 2017 event runs over the weekend of Friday July 7th - Sunday July 9th, visit the Oban Sailing Club website or down load the Race Instructions for more details. As one of the events making up the Skye Sailing Clubs newly established, season long West Highland Offshore Series you automatically enter this unique event with great prizes including our very own 'Esprit de Parcour' trophy.